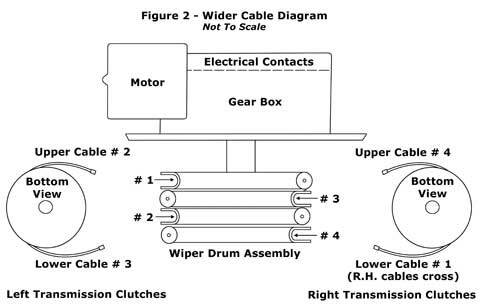 Note the wiper transmission in Figure 1. Two people will be required for the first step and for the final step. 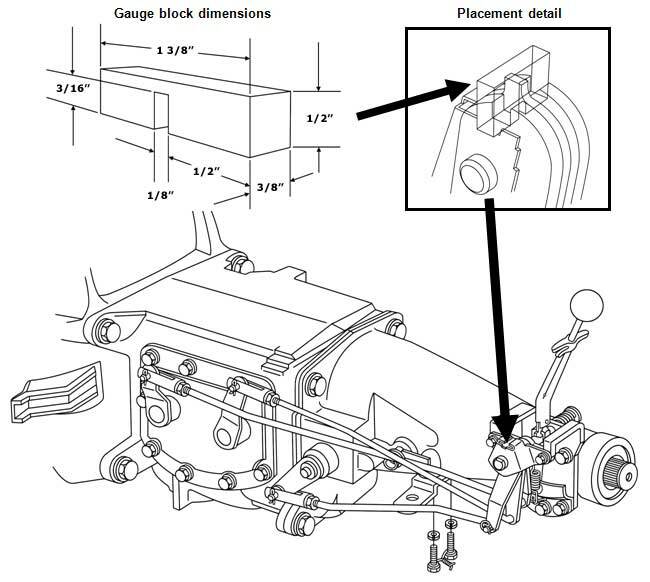 One person should stand outside the car to push down on the left windshield wiper transmission drive shaft, which separates the upper and lower clutches. From under the dash, pull on the cables; this permits the clutches to rotate, extending the length of both cables. Once the cables are fully extended, have the second person release the transmission shaft. The clutches will lock back together and the cables will be held in their extended positions. Repeat this procedure with the right transmission. 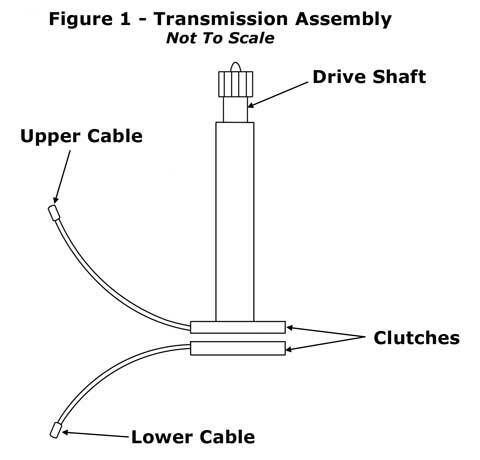 Now that both transmission assemblies have their cables extended and in the locked position, you’re ready to connect the cables to the wiper drum assembly. Refer to Figure 2 and hook the cable ends on the drum as indicated. Once the cables are attached to the drum, have the other person press down on the left wiper transmission shaft again. The clutches will be released, and snap back to spring load the cables. Now repeat on the right transmission, check the cables on the drum one last time. Note that the upper cable is 24” long and the lower cable is 24 5/8” long, both dimensions include the ends. Purchase 10-Wiper Trans 1958-62 Windshield Wiper Transmission Reconditioning Service by clicking here.